A couple of years back we moved forward by converting Zope and Plone packages into eggs. This made us more on-par with the Python community. We also started using zc.buildout for managing our environment. One of the biggest wins of buildout was version pinning without installing eggs. This allows for a community wide effort to define a set of versions of packages that are known to works with an application (a Known Good Set). In the Plone world we use multiple KGSs. For example, the Plone 5 KGS extends the Zope2 KGS (which extends the ZTK KGS). The Plone KGS also overrides specific -or ‘pins’- versions, ie ‘Products.ZCatalog = 3.0.2’ vs ‘Products.ZCatalog = 2.13.17’. The Python community nowadays mostly uses pip + a container (virtualenv, docker, etc) over buildout. Luckily pip now support constraint files. Constraint files specify version pins, but do not declare a concrete dependency. This also works for Plone, but we will have to create a constraints file (they do not yet exist for Plone and Zope). Install zc.buildout in a container and run the script. 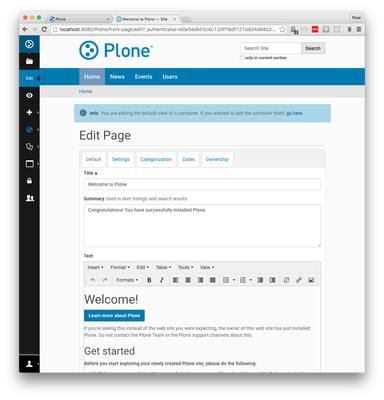 We can almost run our new Plone instance, but we need to create a few files. Normally I would create these using something like Cookiecutter, but for now this will have to do. (un)Fortunately we cannot use z3c.auctoinclude, as it tries to read from the sys.path entries to load package. 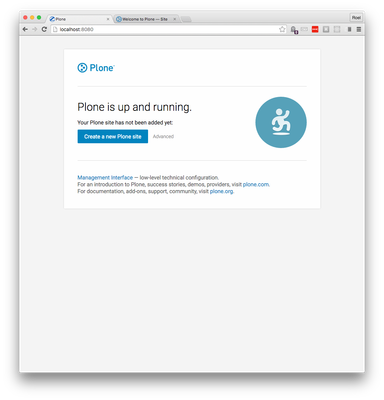 So we’ll need minimal custom site.zcml to make my Plone 5 instance run without z3c.autoinclude.